Ministry of Defence, 2015, Future Operating Environment 2035, Future Trends Programme Photograph courtesy of Airborne Assault Archives, Duxford. Sherlock Holmes once described his older Brother; “all other men are specialists, but his specialism, is omniscience 1. He was speaking of a man envisioned as the ultimate generalist-specialist, a human computer with unmatched expertise. In an age which has seen Moore’s Law repeatedly come to fruition Mycroft Holmes is the business consultant’s panacea. Regrettably, he remains a work of fiction. Until individuals exist which can provide a catch all solution to competition between depth of knowledge and adaptability the generalist-specialist debate continues. To contextualise, the disruptive effect of technology has become readily apparent in business to the extent that old strategies are no longer effective. These sentiments are echoed in Future Operating Environment 2035 (FOE2035) as technology further influences modern operations “and information systems development will be increasingly driven by the commercial sector”2. We have already seen civilian off-the-shelf technology put to use in conflicts around the globe and this trend is expected to continue as “persistent real-time, multi-sensor surveillance capabilities” and “illicit and unregulated technology transfer” multiplies threats to UK security. From this it is clear that in order to effect operations we must keep our eyes on the civilian tech industry for capabilities that will no doubt be used against us. In order to combat this threat this essay will argue that R SIGNALS specialists should follow a business consultancy model by employing civilian industry specialists as Professionally Qualified Officers (PQOs). This will allow the R SIGNALS to utilise current, competent, civilian-industry-grown talent to address FOE2035 threats. To properly begin we must come to understand what is meant by specialist and generalist. A generalist knows “less and less about more and more”3whereas a specialist knows “more and more about less and less” the result being a deep understanding of very little and little understanding of a great deal. The R SIGNALS should therefore attempt to find a medium. A genuine Mycroft Holmes would be current enough to remain competitive in the contemporary environment, generalised enough to adapt to change as it occurs, with an understanding deep enough to deliver value. The first aspect is simple. If we limit our scope to the past decade we need look no further than tech giant Yahoo for justification. In 2000 Yahoo’s share price was valued at $500, with a total company value of $125bn. In 2017 Yahoo finalised an auction of its core operating business to Verizon for $4.8bn4. Over a 17 year period Yahoo went from being as big in its time as Facebook or Google to a shadow of its former self. A R SIGNALS specialist then, should be familiar with systems and services not older than a decade or are expected to be in service for longer. Computer Science Online, a website built by IT professionals offering advice to newcomers to the industry, defines four career avenues; network systems, information support and services, programming and software development, web and digital communications 5. To contextualise within an ITIL framework6, those with a background in software development will be entirely familiar with Information Security Management although somewhat ignorant of Incident Management. Our specialist in this case then must be familiar enough with the framework in which they operate to readily apply them self to a changing environment. A R SIGNALS specialist should be defined by a rounded portfolio and understanding of relevant industry frameworks R SIGNALS are moving towards; ITIL, APMP, PRINCE2. This is echoed in the thought behind the public sector Digital Marketplace under Digital Specialists whereby “digital specialists work must have deliverables and defined scope”7 in areas such as “agile coach, security expert, cyber security specialist, performance analyst”. The end result is a pool of talent with common skills across a variety of areas. To understand what qualifies as deep enough to deliver value we can look again to civilian industry. Office for National Statistics stated in 2016 that there were 1.75m tech industry employees of which 1.3m were specialists 8. At the tactical level this is echoed in 2024 projections. Whereas Telephone Operators can expect a 42.4% drop in employment opportunities, Computer System Analysts are expected to see a 20.9% increase. It is obvious that we should not expect our specialists to understand growingly passé technologies. Rather, they should be defined by those areas expected to grow; internet-of things, big data, surveillance and counter surveillance, network security, electromagnetic activities, and information warfare. The state of tech recruiting in 2011 revealed that most new recruits possessed at least one level 4 qualification in their field9. Civilian industry values qualification and so should we. Our specialists should at least at some point be defined through industry standard qualification with a focus on the above areas expected to become vital ground. So how can we best place these specialists? What should the employment structure look like? To take a negative example from Surge 2011, Ben Fried, CIO of Google stated he would take a generalist over specialist given most circumstances. He argued from a specific example applicable to outside areas. In his example, a piece of software had been created to facilitate financial interactions in Morgan Stanley. This software was widely successful but needed to be improved to offer improved security, a likely scenario for the MOD. At this point a series of specialised teams took over to achieve success in each of their areas and the project was delivered. Sometime later there was a major failure to the extent “there was a hard failure in the system and it was going down”10. The problems were widespread, complex, and not easily remedied. The cause; there had been no oversight and each of the specialised teams had been working to their own functional boundaries. Overall understanding had not been a priority. As applications were scaled up to handle larger tasks there was little understanding of cross-functionality. Furthermore, customers had complained of degraded service prior to the failure which had not been communicated effectively to all teams. There had been a gap between development and operations. To turn inwards, the R SIGNALS currently supports a plethora of services which is continuing to grow. Were we to employ specialists unwisely this scenario may reoccur. Clearly then, there must be a balance. There would still be a requirement for generalists to ensure the specialists remained aware of the wider picture. An agreeable solution can be found in the PQO model. The British Army already employs PQOs, such as “doctors, vets, lawyers, dentists, nurses, physiotherapists and chaplains”11. This model is effective for reasons which parallel with this essay’s proposed R SIGNALS specialist employment model. That is, specialists should be taken from the civilian tech industry to become PQOs and act as consultants. They would be laterally inserted under the leadership of an existing management structure to avoid Ben Fields disaster scenario. Performance First, a consultancy organisation part of the Armed Forces Covenant community, lists the following beneficial effects of specialist consultants; change orientation, objectivity, super-skilled, and coaching 12. The focus of their thought for these effects was change management and given FOE2035 predictions this is apt. If we adopt PQOs as specialist consultants the following benefits become apparent. An attitude accustomed to change is perhaps the biggest advantage given the oft quoted “culture eats strategy for breakfast”13. Introducing specialists who are already used to a culture of change eliminates one of the hardest aspects of change management; changing mind sets. Outside specialists are best placed to drive forward with momentum to shake underlying assumptions and processes which can hinder organisations’ agility. That said, the presence of laterally inserted specialists may be scrutinised and subject to generalist bias. Basically put, “the tendency to select and reward general skills even when complementary, specialised expertise is needed”14. They must become part of the organisation, even if subject to separate rules, in order to fit the ‘belonging’ aspect of Army culture and to avoid this bias. The PQO model fits this requirement well. On bias, outside consultants are not institutionally biased and therefore not prey to the same modes of thinking which hinder development “whether or not the individuals maintaining those practices have biased intentions”15. Given a problem, it could be argued that an outside specialist would be a new set of eyes. Paired with senior management figures who can direct their attentions to appropriate high level issues we would create experienced yet impartial teams best placed to manage problems and projects. There are also advantages from having a specialised individual over two generalists. Given that a R SIGNALS specialist would have a more focussed skill set it can be argued that the overall manpower burden would be lessened. Rather than a scattergun approach which hopes at least one individual in a team will have the experience required a more surgical approach becomes an option. This has the dual benefit of alleviating the management burden and facilitating mission command. This is not dissimilar to the manner in which a R SIGNALS unit sees the benefit of a Medical Officer, or the British Army a Contract Lawyer. Finally, a lack of management experience or high turnover rates typical in the tech industry need not be a disadvantage. Skills Framework for the Information Age (SFIA) inverted pyramid of development16 sees the role of specialist increasingly irrelevant as promotion occurs. As an individual moves into the managerial space a different skill set is required and the emphasis becomes less on technology and more on leadership. This supports the consultancy model in that specialists would be employed solely in a technical role. This also fits the PQO model in that an individual can remain technically engaged for as long as they wish before moving to management if and when it’s appropriate. This benefits the R SIGNALS and individual equally. It is undeniable that remuneration will be a vital consideration should we take the PQO specialist route since it serves the two functions of attract and retain. A recent survey of the Fortune 500 revealed that companies such as Amazon and Google have a median employment tenure of just 1 year, whilst the tech industry as a whole sees the highest employee turnover17. Each lost employee costs a company between 90% and 200% of their annual income18 and this is before we consider the cost of training which is 50% to 60% again19. This figure is still important if we recruit specialists as PQOs; they will have industry knowledge but will still require some training. If we are to attract and retain specialists we need to remain cognisant of these trends and seek to reverse them. Pay serves the attract function because in a general sense it’s used to obtain individual employee desires. In addition to Maslows lower-order needs, “money can also pave the way toward social status, good education for one’s children, or making it possible to retire early and enjoy increased leisure20. Entry level pay for a British Army Captain is £40,025,21 the rank that PQOs are initially employed. This would see R SIGNALS specialists PQOs earning industry average wages for tech professionals in 2018 in an industry that earned 41% above the UK average that year. In this sense, R SIGNALS would offer a competitive salary consistent with market levels thereby avoiding desirable applicants rejecting the offer outright. Furthermore, studies have shown that once you “reach market levels, choices will generally be made on a multi-dimensional basis”. Applicants are more likely to consider opportunities for AT and sport, vital R SIGNALS recruiting material, when offered a competitive wage. Pay is also first and foremost in the battle for retention in that “pay is one of the few job characteristics that can be known with certainty at the point of job choice”22. An individual looking to move will always be able to compare salaries if nothing else. Generation Y has seen a drop in employee loyalty to the extent that “63% of tech workers are more concerned about salary, and total compensation package, than the stability and longevity of the company”. From this, we should not expect our tech specialists to show loyalty for any other reason than their own personal interest. So, if we get the salary right we know that employees will start to consider other factors. These would be individually focused to meet Generation Y attitudes. One such factor would be opportunities for CV building, or good talent management. The PQO model would allow for talent management in that the R SIGNALS uses internal job boards for postings to allow individuals to tailor their own experience. This is best practice that high performing companies like Dow Chemical adopted before halving it’s employee turnover23. Likewise, we earlier mentioned coaching as a beneficial effect of specialist consultants. The R SIGNALS would benefit from the introduction of new corporate knowledge whilst individuals would be afforded the opportunity for coaching and management qualifications not usually offered to them in another entry-level tech job. ILM accreditation would be one such opportunity24. Finally, PQOs are part of the British Army and therefore well poised to receive feedback accordingly. Laurence Collins, HR Director at Doillette, argues Google experiences such desirable retention figures because it takes time to “understand the thing which motivates and engages people as individuals”25. One of these that shows promise is peer-to-peer feedback. The benefits of peer-to-peer praise at work are apparent in real life examples such as JetBlue. JetBlue data revealed that “for every 10% increase in people reporting being recognised, JetBlue saw a 3% increase in retention and a 2% increase in engagement”26. Generation Y may not have loyalty to a company but still values feedback from peers. It should be noted that this is best achieved when operated in tandem with appropriate financial remuneration. To conclude, this essay proposes the following definition, employment model, and remuneration of specialist employees. That is, they should be PQOs recruited with a civilian tech industry background. This background should be current and reflect those growth areas outlined in COE2035. Likewise, these PQOs should possess recognised industry qualifications at level 4 or above. These PQOs will be employed through “lateral entry”27, as General Carter suggests may be the case for up to 30% of the British Army in the future. Practically put, these PQOs would be employed as consultants or in small teams supervised by experienced generalist managers to facilitate communication and cross-functionality. There would be no requirement for them to be employed in a management capacity although may seek those opportunities if appropriate. They would employed as Captains and receive and remuneration appropriate to the rank whilst promoting alongside their PQO peers. That is, salary, posting choices, opportunity for individual development, and peer-to-peer feedback would be the same. By following this model the R SIGNALS will be able to utilise current, competent, civilian-industry-grown talent to address FOE2035 threats. This would be a change implemented against an already in-use model with a proven track record and an opportunity for the R SIGNALS to remain agile. Lieutenant Alexander Sanderson commissioned into the Royal Corps of Signals on 5 Aug 15 and completed an attachment to 3rd UK (Div) Sig Regt before attending Troop Commanders Course 93 at 11 (RSS) Sig Regt in Blandford. On completion of this training he was posted to 2 Signal Regiment in York where he spent the next 2 years as a Troop Commander in 214 Signal Squadron in support of the Joint Expeditionary Force Light Brigade. Always looking for opportunities to push himself, Sandy has completed the physically demanding All Arms Commando Course. He is currently serving at the Army Training Regiment Winchester leading the future soldiers through their 14 week initial training. His winning essay was published in the Summer 2018 edition of the Royal Signals Institution Journal. 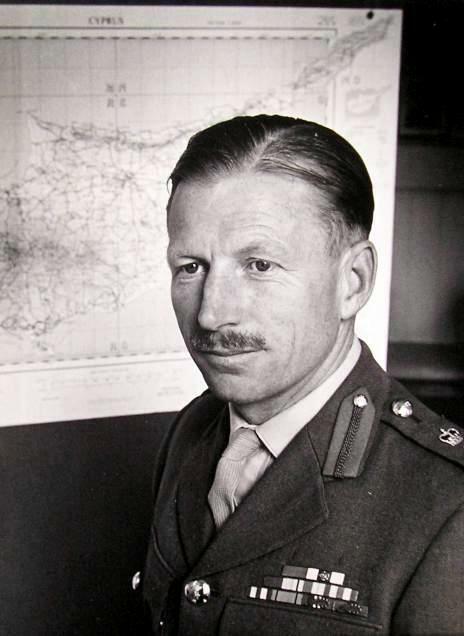 There is no specific reason why the competition was named after Maj Gen AJ Deane-Drummond other than he was an exceptional officer from the Royal Signals and a regular contributor of articles to the RSI Journal.